Daniel Janes is the CEO of Madden Media, a destination marketing agency focused on increasing visitation, travel, and tourism for communities across the country. Madden uses innovative, technology-driven marketing strategies to provide solutions for partners. We know travel is transformative for individuals and communities and our team is proud to impact the growth of communities by creating personalized, immersive stories that connect people to places. Dan is a successful entrepreneur and early-stage investor. Dan co-founded, 42six Solutions, a Big Data and Analytics company that was acquired by Computer Sciences Corporation. Following the acquisition, Dan became active as an investor and member of Desert Angels and Arch Partners. 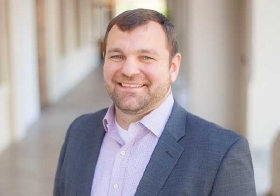 Dan's breadth of experience includes being a West Point graduate, former Army Officer, working inside of a large government agency, building a big data technology company, and growing new technology offerings in a publicly traded company.